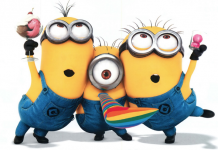 Despicable Me spin-off “Minions” movie announced! Make way for possibly the cutest and most hilarious film of all time. Universal Pictures and Illumination Entertainment have released a teaser poster for the Despicable Me Spin-Off 'Minions'.